At Castello di Ugento we are happy to curate your special celebrations and do so with the highest level of detail and privacy. You may contact us by writing to [email protected] and we will set up a call to discuss all the things that matter most to you and how we may offer an unforgettable moment with us. 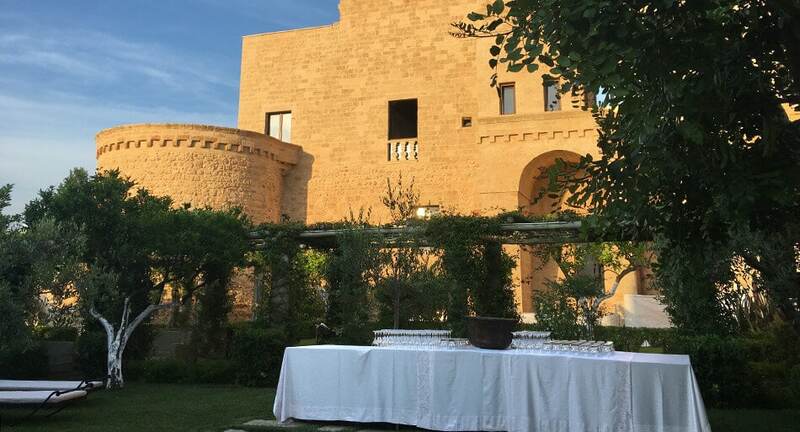 Whether in the 17th century kitchen garden, in the courtyard, under the frescoes of the museum wing, or the Norman fresco in the conference room and dancing area, Castello di Ugento can offer many distinctive spaces for your festive moments. Masseria le Mandorle is our restored 17th century farmhouse and now a boutique hotel with 12 rooms in the heart of Ugento, 5 minutes from the Castello. 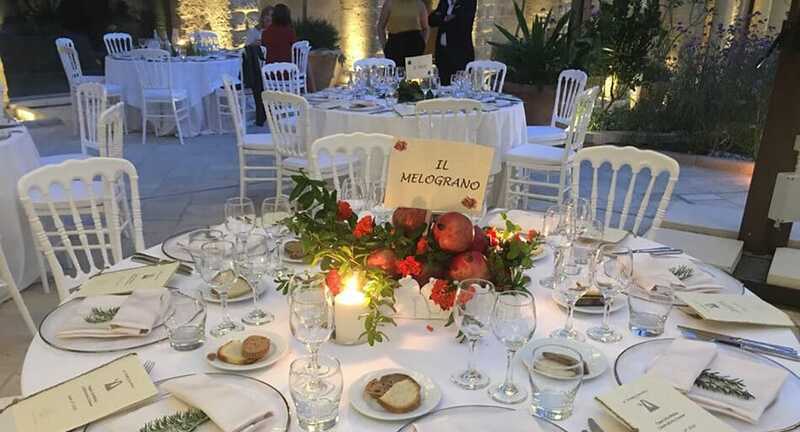 Here our guests can also experience happy times enjoying a dinner around the courtyard and the centennial olive tree or dancing the ‘pizzica’ under a star-studded sky. Both properties allow for perfect weekend celebrations!